When you talk about the world’s finest race car specialists then you cannot forget about Piper Motorsport. It is a Mid-Atlantic company that is known to provide some of the best customer fabrications, race car safety equipment and more. The company has been able to secure a good reputation mainly with the help of high quality workmanship, products, and the greatest customer service. The people that work at Piper Motorsport known exactly what they are doing and are very experienced. This is what has allowed them to work on other weird but exciting projects. The Frankenstein Benz project is one of the most popular things that the company has done. 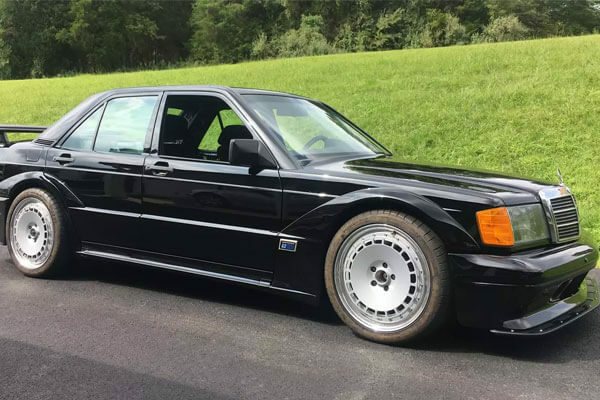 To explain this venture in the simplest way possible, what Piper Motorsport basically did was take everything from the famous Mercedes C63 AMG and put it inside an 80’s Mercedes 190E. The result is something unexpected but really cool at the same time. Some people might think that this car was a waste of time and money but others really appreciate the effort. Everyone has dreamt about turning their favorite cars into something amazing and that is exactly what Piper Motorsport did. There are some combinations that are forever popular, take peanut butter and jelly or salt and pepper for example. These combinations are eternal and there is nothing that you can take away from them. Similarly, another combination that stays in people’s minds is big engines in smaller cars. However, there are very few people who ever get to live this dream. Piper Motorsport, on the other hand, was not shy of trying this out and that resulted in the inception of the Frankenstein Benz. It is a really incredible car and there is nothing like it in the world. The 80’s Mercedes 190E was already a popular vehicle, but Piper Motorsport just sort of took it to the next level. They literally kept the same exterior but completely revamped everything that was under the hood. As you already know, this car is basically a Mercedes C63 AMG in the 190E body. It seems like a really crazy idea, but who knew that it was everything that we wanted. People think that it is just a simple engine swap, but in reality, it is much more than that. The Mercedes C63 AMG is a beast of a car and putting everything from that car into the 190E body is tricky business. How Piper Motorsport was able to pull this off is certainly something that needs a lot of skill. Installing the engine into the 190E body was difficult mainly because the 6.2-liter V-8 engine of the C63 is rough twice the size of the four-cylinder engine of the 190E. This means that there was not enough space to put the C63’s engine as it is into the 190E’s body. Piper Motorsport really had to show their amazing engineering skills as they had to relocate a lot of the engine’s components. After some time, Piper Motorsport stopped posting updates related to the Frankenstein car. People were becoming skeptical of whether the car was going to become a reality or not. However, Piper Motorsport was able to prove everyone wrong as they unveiled the car and it was better than everything that we imagined. It is amazing how just one person wanted a car that was a bit different from the rest of the vehicles on the road and Piper Motorsport was able to produce that dream vehicle. These were some important things that you need to know about Piper Motorsport and the Frankenstein car that they produced. If you look at the car from the outside, you will think that it is a normal Mercedes 190E but you would be very wrong. 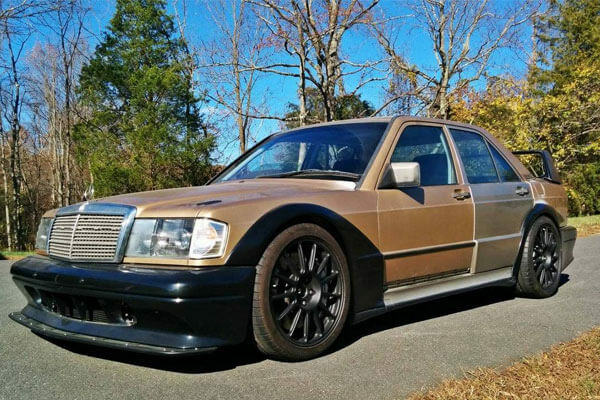 Once the engine of this car starts, you will realize that this is unlike any other Mercedes 190E that you have ever seen. Everything from the engine sound to the handling and speed is different. Piper Motorsport has really set an example and there should be more experiments of the same kind just with other cars. With this car, Piper Motorsport gained a lot of popularity.